Cynthia Calvillo says she wants to fight Michelle Waterson following her victory over Poliana Botelho. 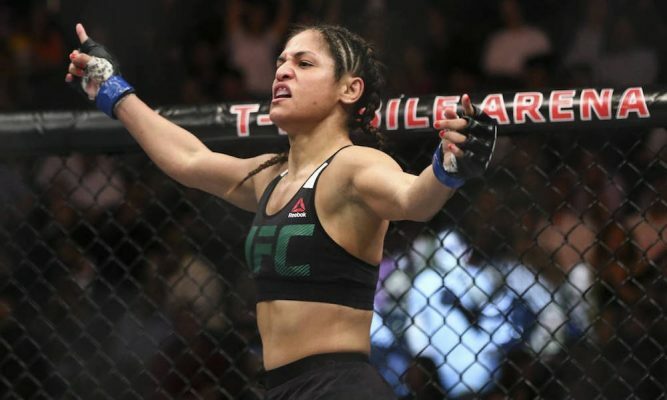 Cynthia Calvillo overcame a hard weight cut on Friday to get back in the win column with a first round victory over Poliana Botelho at UFC Argentina. Calvillo stole the headlines on Friday after coming in 2-pounds over the strawweight limit and looking uneasy on her feet making 118-pounds. Despite concerns over her health, Calvillo maintained she was always going to be fine to fight and she looked very impressive last evening to get the finish late on in the opening round. Speaking backstage to MMAFighting.com after the fight, Calvillo said her weigh-in looked worse than it actually was. After picking up the third submission win of her career after submitting Botelho with a rear-naked choke at 4:48 of round one, Calvillo wants to get back into the Octagon sooner rather than later. Having been booked to face Michelle Waterson earlier this year before being suspended by USADA, Calvillo is hoping they can get the fight rescheduled. 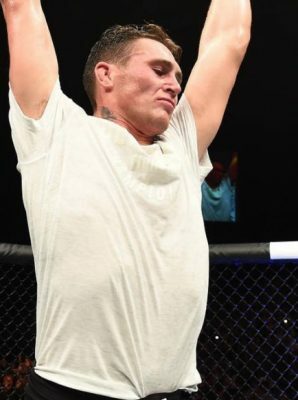 “I want to fight everybody in the top-5 and the top-10, but earlier this year I’d signed a contract in January against ‘Karate Hottie’ so I want to run back with that.